Blackwater Rollers are road tripping one last time for the summer and heading west. 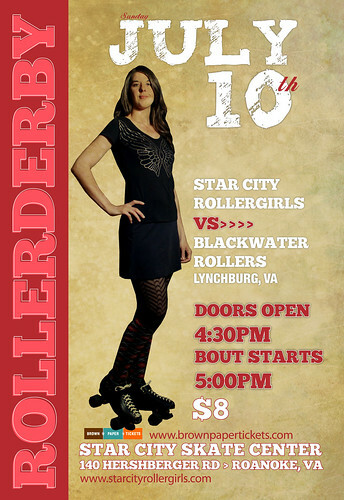 We don’t have to go very far though before we bump into the Star City Roller Girls. If there was an away bout to catch, this would be it! We love playing this team so come out out! First whistle is at 5:00. We always brag on our amazing fans and hope that alot of you can come out and support your team in pink. Learn more on the event page here!